I honestly think this is the best place so far that has my favorite ramen soup base so far. Wherever I go, I always try to order the tonkatsu broth and luckily for me, this place specializes is in it! The first day we went on our trip, we wanted to go to this ramen place and within 30 minutes of them opening, they already had a 1 hour wait! On our last day there, we arrived 10 minutes before they opened and were the first in line to sit down. I ordered their daily special which was the Tonkatsu with black garlic oil and it was amazing. 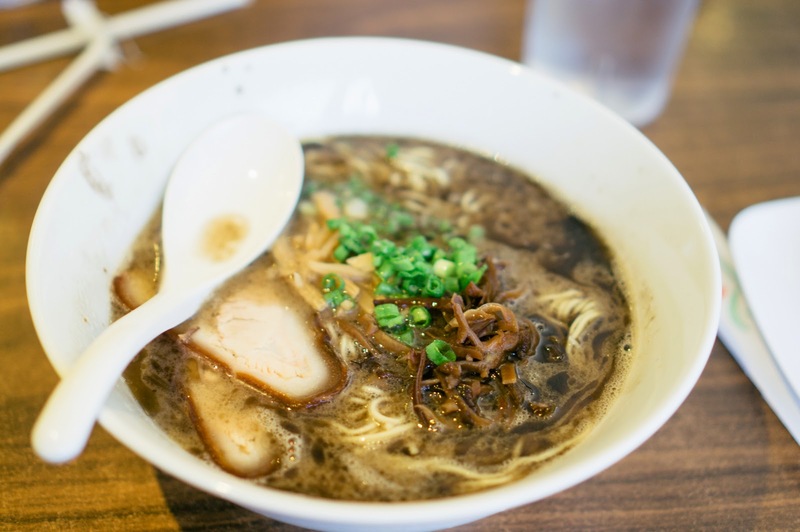 The broth is very thick and it was filled with pork flavor. It was very creamy but not too oily where you would feel disgusting after a big bowl of ramen. Throwback Thursday: Happy new year everyone!